Flying While Fat is a 6 minute animation based on original research I conducted in my undergraduate research at Goldsmiths, University of London. 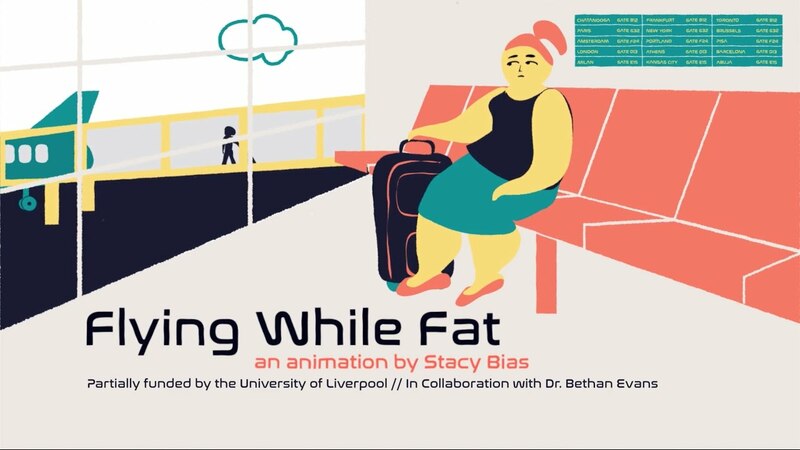 Produced in collaboration with Dr. Bethan Evans at the University of Liverpool, this animation explores the lived experiences of plus-size passengers whose plight is well documented in mainstream media. This animation shows the importance of allowing research participants in marginalised communities speak with the power of their own voice. The overall coverage placed the topic in front of an estimated two million readers within the first two weeks. It premiered at Liverpool’s Deaf and Disability Arts Festival (DADA Fest) and exhibited at the Tate Gallery and Bluecoat Centre for Contemporary Arts.